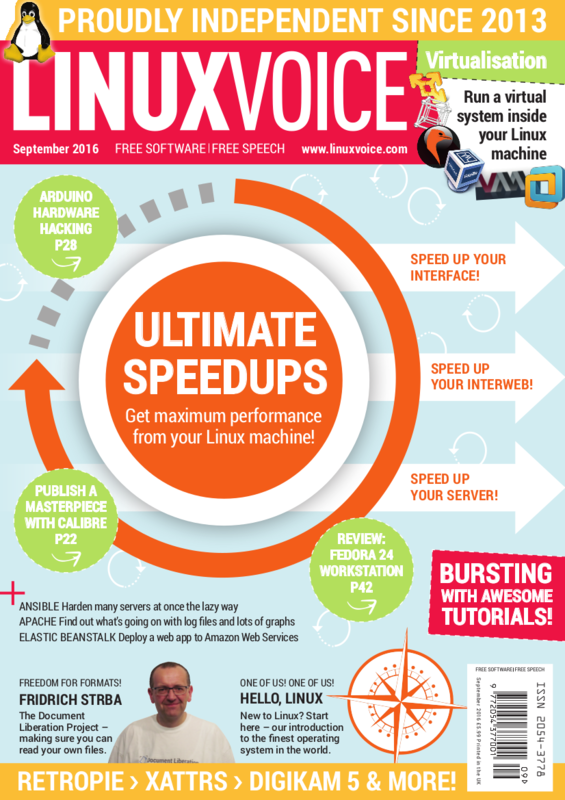 Tweak your Linux machine to get it running as fast as it can. In this issue, we evaluate the best virtualisation software, learn about the Flatpak distribution format and chat with the Document Liberation Project's Fridrich Strba. In our tutorials section, you learn how to take control of your ebooks, master your log files, run your applications in the cloud and much more.